Mickelson thus heads into the Open Championship on a roll, which is good news because of the consistent difficulty that he's had with links golf. As such, he admits that he really, really wants to bring home a claret jug. "I think that, if I were to win an Open Championship in my career, that would be one of the greatest accomplishments of my life because it's been the real challenge of my career," he said. "To adapt my game, hit the shots that I didn't get a chance to learn growing up, that would be the biggest accomplishment I can imagine." 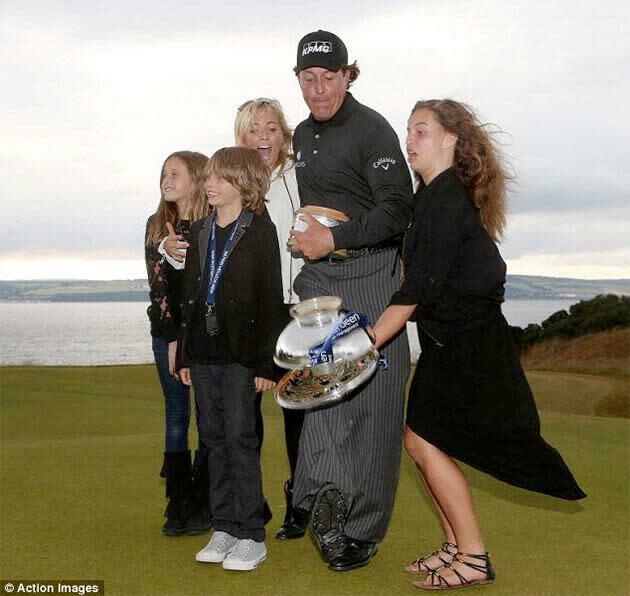 Just keep both hands on the jug if you get it, Phil.